Using precision agriculture technology to predict and monitor crop yields. Using sensors to measure a variety of field parameters. Using remote sensing, such as satellite imagery data to detect problems in the field and monitor field performance. Robotics – precision application of inputs, such as fertilizers, pesticides and seeds. Until recently, there was a distinction between smart farming and precision agriculture. 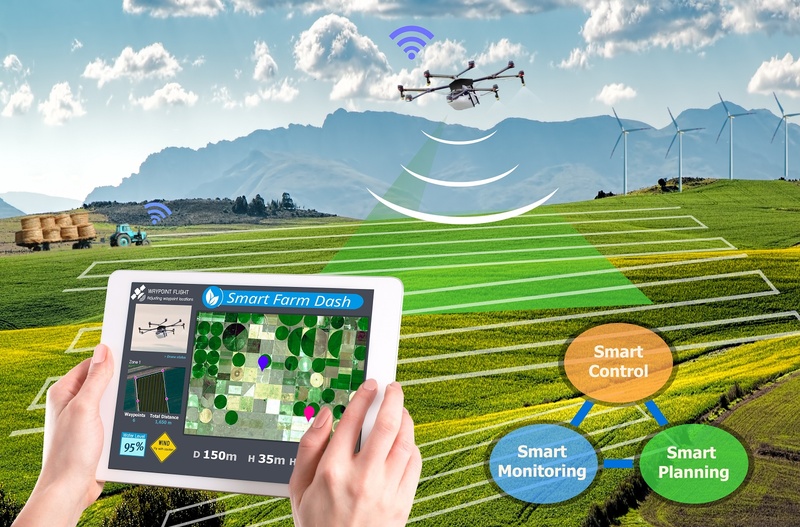 While smart farming encompassed all the above technologies, precision agriculture referred to technologies that allow to divide large fields to “management zones”, based on the variations in the field, and manage each zone individually, rather than refer to the whole field as one uniform unit. Soil mapping and GPS guidance currently have the highest adoption rate, (exceeding 80% in the large farms) while other technologies have a lower, but continuously increasing, adoption rate. Yield monitors are one of the first precision agriculture tools that were introduced. They allow the combine harvester to collect real-time data on the amount of yield harvested and other related parameters, such as grain moisture. The yield monitor also includes a GPS receiver, which records the physical location, along with the yield data. The information can be displayed on a map, referred to as “yield map”. This helps the farmer in many ways, as he can relate yield variations in the field to other factors that can affect the yield, such as variation in soil, application of inputs, irrigation etc. Soil moisture sensors measure the moisture content of the soil, enabling farmers to make smart irrigation management decisions. Instruments for measuring soil moisture have been out there for many years. Methods for measuring soil moisture were improved in recent years to measure soil moisture in different depths, using a single device, easier installation and continuous transmission of the data to an app or computer software. Another type of soil sensor is soil electrical conductivity sensor. These are sometimes combined with the soil moisture sensor, as both parameters are related. The readings of the soil electrical conductivity can be used for salinity estimation, and therefore help farmers with fertilization and irrigation management. Nitrogen level in soil can also be measured, using nitrogen probes. However, since nitrogen reactions in soil are complex, such readings are not sufficiently reliable for nitrogen fertilizer management. Some new sensors are mounted on the leaves and stem of the plant, providing valuable data on the plant’s status, such as water uptake and water stress. New technology, using very thin graphene-based sensor will allow to “tattoo” the sensors on the plant’s leaves. Other sensors include soil temperature sensors, soil pH, air temperature and humidity. This entire set of data enables the farmer to make much better decisions about his field and crop. The major draw-back of sensors placed in the field is that they provide information on a specific sector within field and on a small number of plants. Therefore, the location where the sensors are placed must represent the section of the field that the farmer would like to monitor. If the variability in the field is high, more sensors are needed, which can become costly. Data from satellites and drones provide an additional dimension of the field, that was rarely considered before – a view from above. This is a unique and important aspect of precision agriculture. It enables farmers to detect problems, which were very difficult to detect before this technology became available. 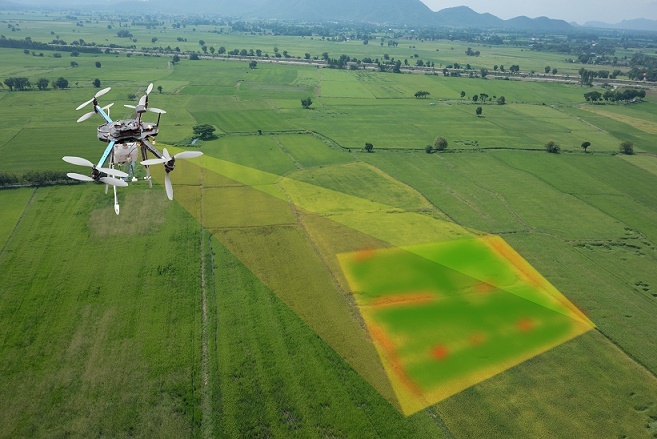 Drones and satellites can provide information on pests and diseases, the nutritional status of the crop, help in yield prediction and more. Data should be analyzed and transformed into actionable insights or practical recommendations. This is done using decision-support software tools. Various computer software and apps were developed in recent years. However, since proven results may take longer to achieve, adoption rate by farmers is still relatively low. 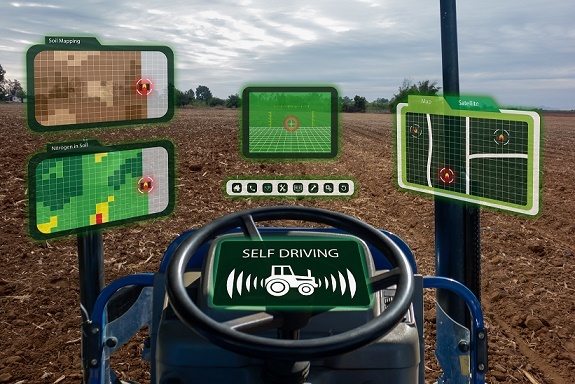 This aspect of precision agriculture is expected to rapidly develop in the next few years. The other aspect of precision agriculture is being able to apply precise rates of inputs, based on data received from the sensing devices and on variability in the field. 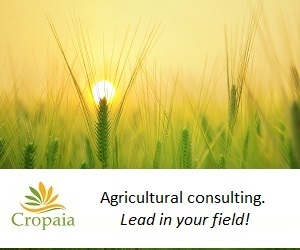 Each sector of the field gets a different treatment – seeds can be placed at different spacing according to soil type, specific fertilizer rates can be applied to each sector, pesticides can be accurately applied only where they are needed etc. Today, farmers who adopted precision agriculture technologies, use automated machinery, drones and robots to do tasks that were done manually or mechanically before. Technologies that measure and collect data. Decision support software platforms and apps. Because of the relative infancy of precision agriculture, most existing technologies focus on one single aspect, which provides a solution to one of the many steps in the production cycle. In order to be fully adopted, various solutions must be integrated to form more comprehensive solutions. The huge amount of data that is being collected and analyzed, supports research and the development of new technologies, and new insights are gained.